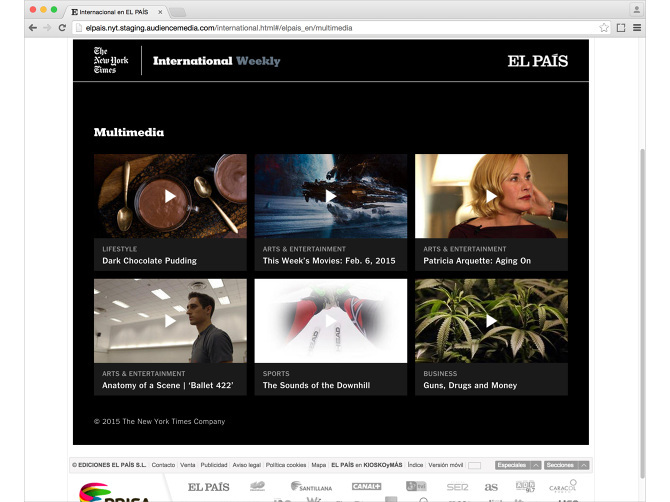 The New York Times International Weekly is an 8- to 16-page publication that represents the most globally resonant coverage from The New York Times, including pages devoted to business, science, arts, lifestyle and international news. 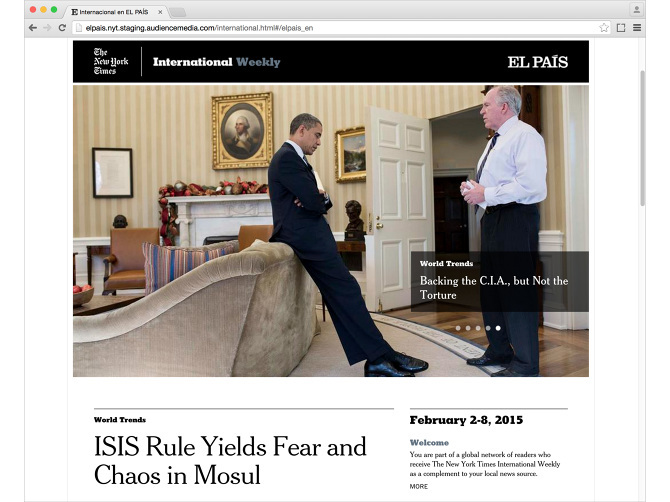 Designed to complement the daily reportage of other newspapers, the IW is distributed as a stand-alone section within twenty host papers in sixteen countries across the globe, with a reach of more than five million readers each week. 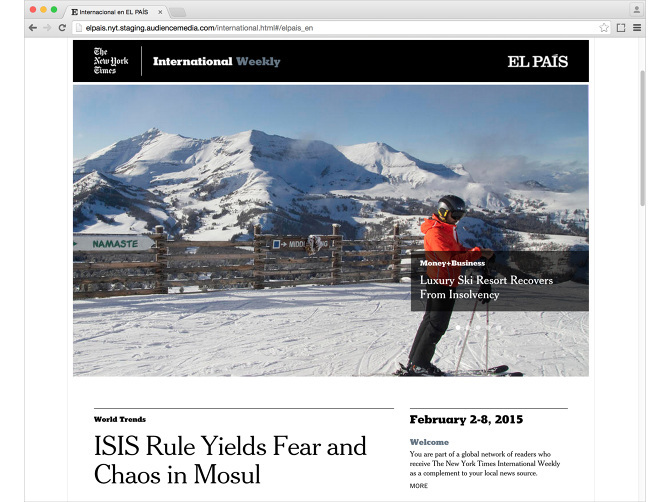 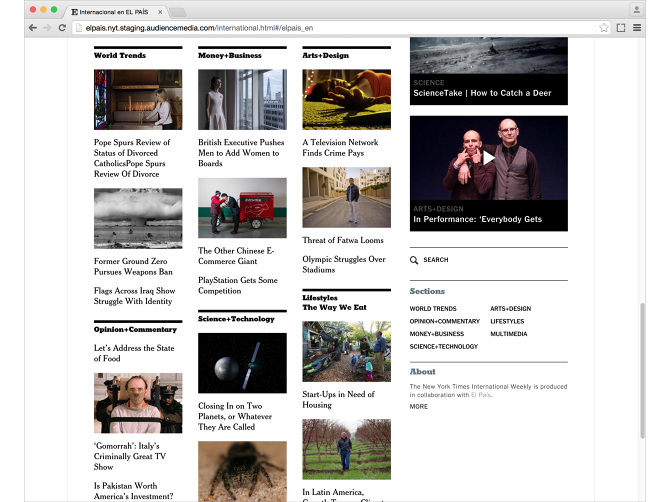 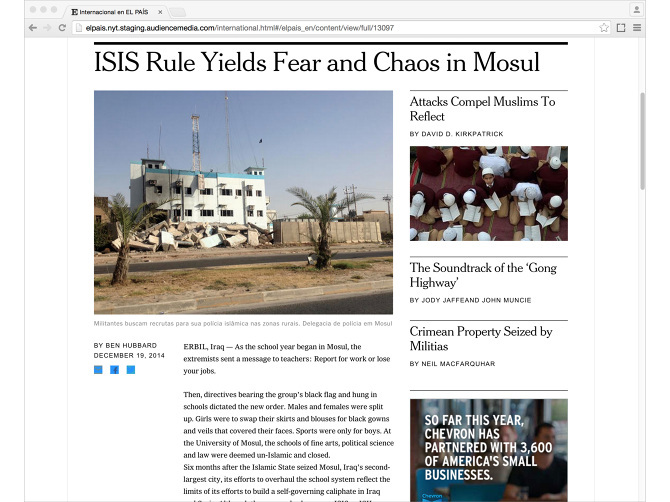 The section uses the same format and typography as The New York Times, and provides host publications with a co-branding opportunity on the front page.